« Amanda Knox Extradition Swap Deal for Swiss Banker? Singapore terrorist, Baldraj Naidu, deported from the U.S.
Singapore Reform Party chief, Kenneth Jeyaretnam’s friend and associate, Baldraj Naidu was released from prison in the U.S. and deported to Singapore. He has now been deported from the U.S. In 2010, Naidu was convicted in Baltimore, Maryland in the U.S. of conspiracy to provide material support to a foreign terrorist organization and sentenced to nearly five years in prison. Prosecutors say Naidu tried to buy $900,000 in illegal weapons from an undercover business in Maryland. In April 2006, on being introduced to a U.S. undercover agent, Naidu negotiated to buy weapons worth $900,000, including grenade launchers, sniper rifles and machine guns. One of his co-conspirators, Haniffa Osman, test fired several of the weapons in the summer of 2006 in Baltimore. Osman, 62, was convicted and sentenced in the U.S. He has completed a 37-month jail sentence and testified in Naidu’s trial in 2010 before returning to Singapore. 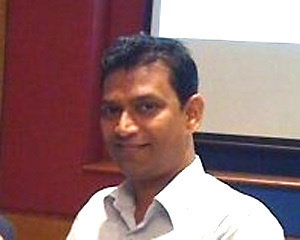 Osman’s term was shortened as he gave evidence against his friend, Naidu. On September 29, 2006, after inspecting the weapons and transferring an additional US$450,000 into the undercover business’ accounts, Naidu’s four co-conspirators were arrested and indicted. Where did these terrorists raise $700,000? Who financed them? The Tamils are becoming an increasing power in Singapore. Thousands of Tamils are arriving in Singapore to take up positions as laborers. 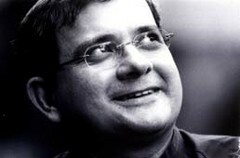 Naidu, who was also a friend and associate of J. B. Jeyaretnam, father of Kenneth and Philip Jeyaretnam, after serving his time in the U.S was deported and arrived in Singapore on Wednesday, December 18, 2013. 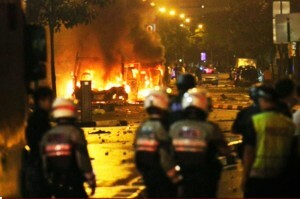 In December, for the first time in decades, there were riots in Singapore. The riot started around 9:30pm after an Indian national, like the Tamils, was killed by a private bus in a district known as Little India. The bus was driven by a Singaporean. Immediately, about 400 foreign Tamil workers took to the streets, throwing objects at the police and setting police cars and an ambulance on fire. 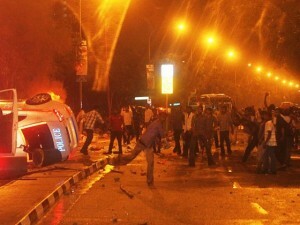 During the riot, several police cars were overturned and five vehicles—three police cars, an ambulance and a motorbike were burnt. Several private vehicles were also damaged. Singapore’s Special Operations Command personnel and Gurkha troops were called to the scene. In total, five police cars and nine Singapore Civil Defense Force vehicles were damaged. In addition, there were 18 casualties including 10 police officers, four Singapore Civil Defense Force personnel, as well as the Singaporean bus driver and his assistant. At least 18 people were hurt, most of them police officers, before the violence was brought under control. Six people were rushed to Singapore’s Tan Tock Seng hospital. Twenty-seven of the foreign rioters were arrested. Police commissioner Ng Joo Hee said it was the first rioting in Singapore in more than 30 years. He condemned it as “intolerable, wanton violence”. “It is not the Singapore way,” he added – but the rioters were not Singaporeans, but immigrant laborers – Tamils. In an attempt to boost its sagging economy, Singapore depends heavily on foreign workers, with migrant laborers dominating sectors like construction. A statement from Singapore’s Civil Defense Force (SCDF) said that emergency services were alerted to the killing. Nine SCDF vehicles were damaged in the incident, including five which were burned, it said. Philip Jeyaretnam, a Tamil, has infiltrated Singapore’s Public Service Commission, where he will “approve” Singapore Civil Service hirings and salaries. As such, he has a role in determining who gets promoted and who does not. 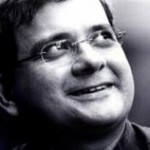 Philip Jeyaretnam is also the Managing Partner of the prestigious Singapore law firm, Rodyk & Davidson. He took over the firm when the former Managing Partner, Helen Yeo, became involved in a botched attempt to ban Escape from Paradise in Singapore. In this effort, Helen Yeo was assisted in this effort by her husband, Yeo Cheow Tong, a former Singapore cabinet minister—he also lost his job over the incident. Since they were unable to get Escape from Paradise banned in Singapore, the Yeos threatened Singapore bookstores with lawsuits if they sold the book. With the influence of her husband’s position as a cabinet minister, Helen Yeo had all 25 copies of Escape from Paradise removed from Singapore’s National Library—save one copy which was placed on “restricted distribution”—meaning readers had to sign for the copy (giving the Yeos access to their name). Let’s not forget that Kenneth Jeyaretnam’s father—failed politician, Joshua. B. Jeyaretnam, was the lawyer who helped Naidu change his name so Naidu could hide. 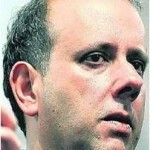 Both Kenneth and Philip Jeyaretnam are sons of Joshua B. Jeyaretnam. Kenneth Jeyaretnam is now the head of Singapore’s Reform Party—thanks to Balraj Naidu. 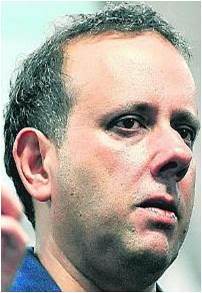 On April 26th 2009, Kenneth Jeyaretnam ‘become’ Secretary-General of Singapore’s Reform Party with the help of Balraj Naidu. A “Gang of 4,” spearheaded by Balraj Naidu executed a coup d’état to help Kenneth Jeyaretnam seize the post of party Secretary-General that day. Singapore’s Tamils are a rising power along with the Jeyaretnam brothers.